Since the earliest days of the Carmelite Order, lay people - that is those Christians who are not ordained as deacons, priests or bishops - have been integral members of the Carmelite Family. In many different ways, 'Lay Carmelites' live out the Carmelite contemplative charism of prayer, community and service, modelled on Mary and the prophet Elijah. Some are bound to the Carmelite Family in a formal way by professing promises or vows; others have a more informal sense of connection to 'Carmel'. We refer to all these people broadly as 'Lay Carmel'. This section of our website gives detailed information about the different types of lay vocation within Carmel. To read how Lay Carmel fits within the broader Carmelite Family, please visit the Carmelite Family section. You can access information about each of the Lay Carmelite communities in Britain (Third Order Chapters and Carmelite Spirituality Groups) by visiting the Communities section of this website and clicking on the relevant map pins and ensuing bubbles for further information. What today is the Carmelite Order began not as a religious order but as a small band of mostly lay people who came together and formed community on the slopes of Mount Carmel in the Holy Land at the beginning of the thirteenth century. It would be some years before they were given an official status by the Church authorities. Over the centuries since then, many people have felt called to Carmel: some as religious (that is friars, nuns or sisters); others as lay people. Since the Middle Ages lay people have been inspired by the values of Carmelite spirituality, and aspired to share in the life of the Order. Some have done this within the context of marriage and family life, others as single people either living alone or in small informal communities. There are many examples over the centuries of lay people enjoying close contact with Carmelite religious, sharing their lives of prayer, community and servce. Carmel is bigger than any individual expression it may have, and is not the private preserve of any particular group. 'Carmel' does not refer only to friars, or only to nuns or sisters; it is a family that includes various types of vocation within it. In Britain there are many different lay people who seek to allow God to touch their lives through the Carmelite charism. Some of these are members of the Carmelite Third Order, which is the deepest form of commitment open to lay people (and indeed to diocesan clergy), but there are many other expressions of 'Lay Carmel' as well. There are many and varied expressions of the Lay Carmelite vocation flourishing in Britain today, including the Carmelite Third Order (Secular), Carmelite Spirituality Groups, The Leaven Secular Institute, and the Brown Scapular Confraternity. There are also many young people who are inspired by Carmelite spirituality and values. Some of these vocations to Carmel are formally organised and require an active commitment on the part of members, whilst others are more loosely affilated to the Order. 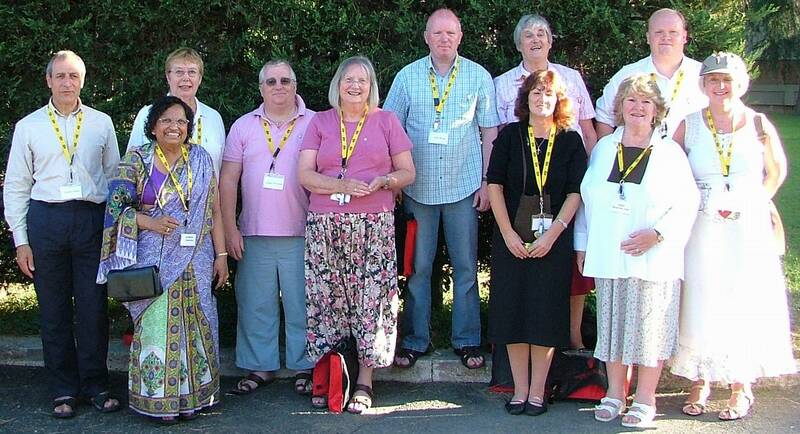 Together such groups are sometimes referred to as "Lay Carmel", and are part of "the wider Carmelite Family". (For more information on the concept of "Carmelite Family" please click here). For information about each form of the Carmelite vocation for the laity, please access the relevant pages using the menus on either the right or the left of this page. The small mountain range known as Carmel has become a symbol of the Carmelite way of life: grounded, solid, deep, yet reaching high. It was here in the Land made holy by the presence of the Saviour that Carmelite spirituality was given birth to at the beginning of the 13th century in the hearts of a small band of mostly lay people who desired to respond to an extraordinary love. Carmelites are united in a contemplative spirit of prayer, community and the desire to serve God and the people with whom we share the world. Carmel is the mountain of the prophet Elijah. Nourished by God's word and drawn to intimacy with God, Elijah sought justice for God's people. Mary, the grace-filled woman of Nazareth, is the the mother and sister of all who seek to follow in the footsteps of Jesus Christ. Her eternal Yes resonates in the hearts of all who find inspiration in the Carmelite way. With eight centuries of history, the Carmelite tradition embraces the heart seeking God. It is an ancient path for today's pilgrim. Lay Carmelites are just what the name implies: lay men and women who form an integral part of the Carmelite family and who try to live the Carmelite charism in the ordinary circumstances of our lives. Could God be calling you to Lay Carmel?